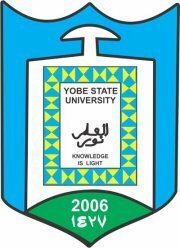 Yobe State University, #YSU Direct Entry admission list (first batch) for the 2018/2019 academic session is out. This is to inform all the Direct Entry candidates seeking admission into the Yobe State University (YSU) various undergraduate programmes for the 2018/2019 academic session, that the management of the institution has released the first batch Direct Entry admission list. See also: Yobe State University UTME admission List. Yobe State University Direct Entry Admission List. The under-listed candidates have been offered Provisional Admission into Yobe State University (YSU) first Degree programmes (through DE) for the 2018/2019 Academic Session. Congratulations to all the candidates that made it to YSU Direct Entry admission list for the 2018/2019 academic session.